Tyler B. Perry | The official website of poet Tyler B. Perry. Poetry Double Header Coming Up! Poet Laureate Nominee – Tyler Perry from Calgary Arts Development on Vimeo. 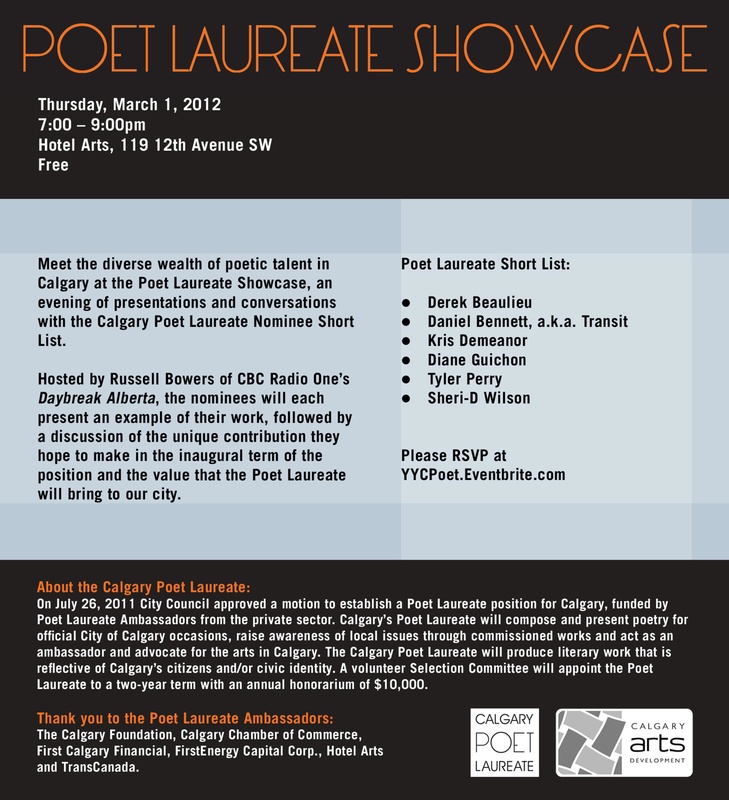 CLICK HERE for more information on Calgary’s inaugural poet laureate. CLICK HERE to view clips of each of the nominees. Here is some footage from the 2011 Calgary Spoken Word Festival. To see more of the performances, visit the festival’s website. And if you’d like to compare and contrast, here’s a link to the footage of my very first public performance of my poetry at the Calgary Poetry SLAM! in the Auburn Saloon, back in January 2010. My first poem begins at about 00:47:45 (just after Esau Tamura, a friend and colleague of mine), and my second is at 00:53:00, followed again by Esau Tamura. We went head-to-head in the final round. Also, at 00:04:55 there is a group performance by Esau, Evan Scurr and me.